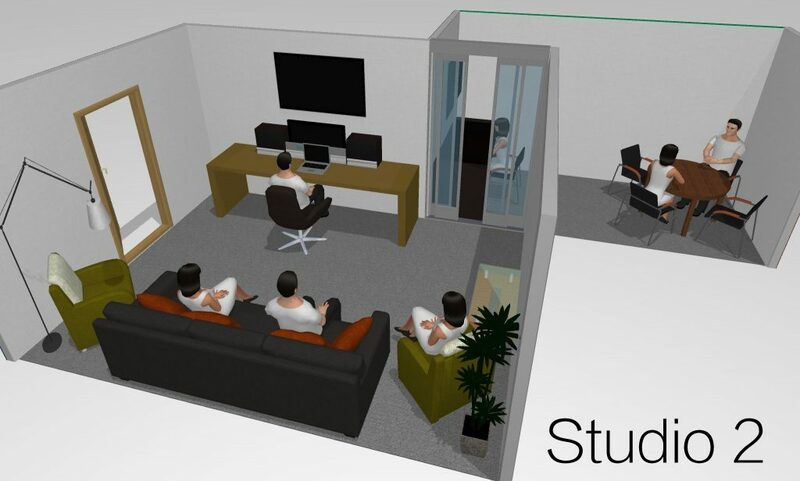 Syncbox is a comfortable broadcast PR Studio studio ideally placed in London for all your ISDN Broadcast PR and Radio Days. Our studio can accommodate up to 4 spokespeople at any one time with an additional 5 people in the control room which allows them to monitor all the interviews in comfort. Our engineers have a wealth of experience with working with ISDN and connecting to radio stations in a live or pre-record situation and will make your radio day run as smoothly as possible. Your spokesperson will feel confident and relaxed enabling them to get their message across, whether it’s for a charity, a product launch or a new album for their band. Refreshments and plenty of coffee are on hand for those early morning starts and possible long days. All ISDN codecs are available, to allow connection with all UK and international radio stations. We can also connect via Source Connect and Skype. All the interviews are recorded and are provided in either mp3 or WAV format to aid evaluation and measurement of the interviews.